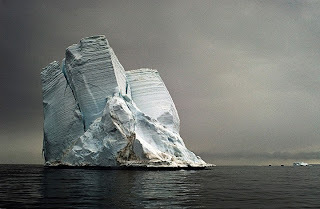 As an intrepid traveler, I have been a big fan of Camille Seaman's work. 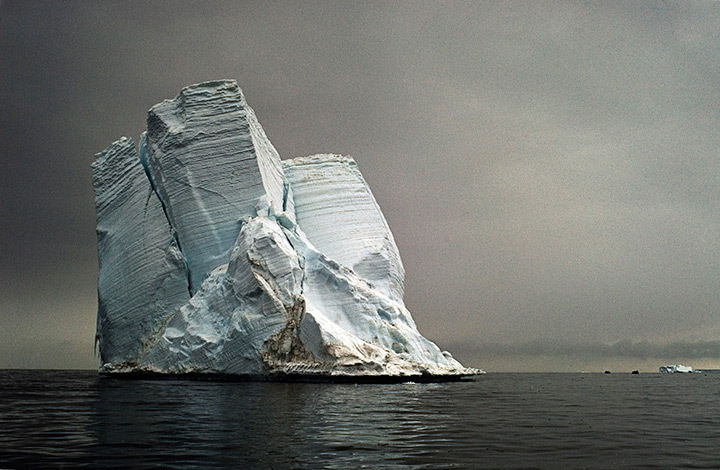 Camille Seaman is a 2013 TED Senior Fellow and Stanford Knight Fellow famous for photographing icebergs and clouds. About a month ago, I revisited Camille’s project, "The Last Iceberg: Melting Away" hoping to draw inspiration for my trip to Patagonia in November. Unbeknown to me that one piece of art would trigger such an emotional connection with me and give solace in my grief two weeks later. While keeping vigil at my mother’s bedside, I could not get the image out of my mind. As if the image were telling me that all things move toward their end and that we are just another facet of the natural whole, we are all part of the earth, and the earth is part of us. It was okay to let go. I wrote this poem about the last iceberg prior to my mother passing and would like to dedicate it to her. Cracks hold the structure of packed ice. Waiting to crash, but not anytime soon. as it begins to shift and lose its grips. polar bears emerging from season enforced imprisonment. places where flowers will soon spring to life. Alice...you are an artist, a poet and a philosopher. Love the poem!